Crack the eggs in a bowl and add a cup of milk and whisk them together. The colour should be the colour of a light custard. Afterwards add a pinch of salt. 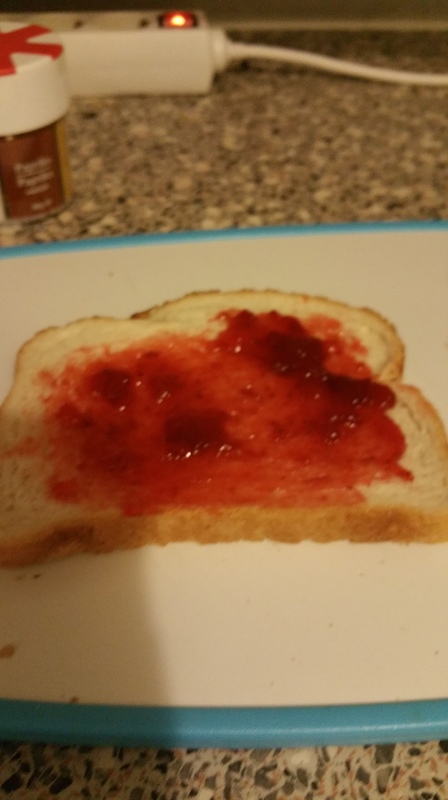 Spread the slices of bread with a coating of jam. 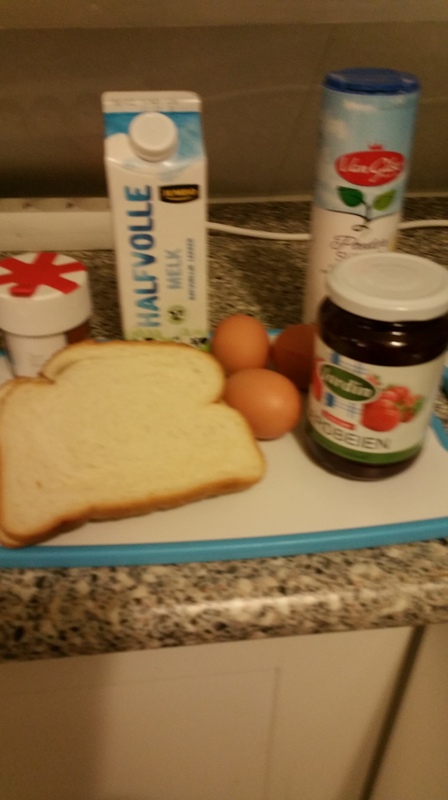 Cover slices of bread with the jam. Afterwards dunk your bread in the egg milk. Once the bread has soaked up the liquid take your slice of bread out of the bowl and place the slices of bread in the frying pan. 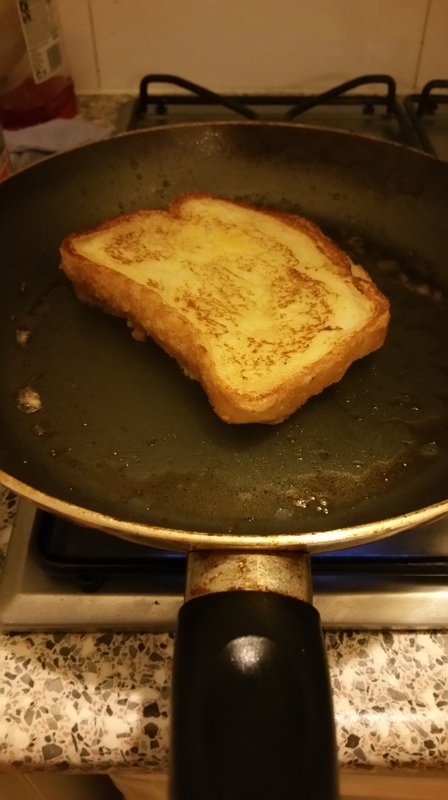 Ocassionaly check if your bread is turning golden brown. To make the toast more Valentines day appropriate, cut out of a napkin or a sheet of baking paper a heart shaped shape. 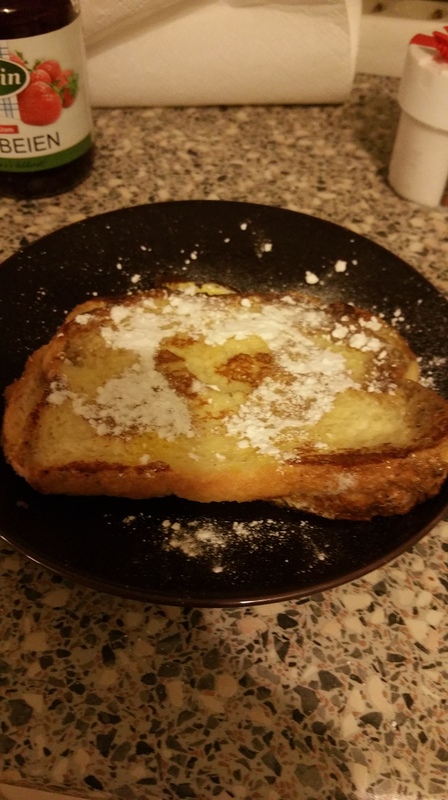 Place the shape on the toast and cover with icing sugar. Use a ziff for even distribution. You will be left with a heart shape on the toast. I hope your loved ones enjoy this recipe. Please leave a comment.